Looking for a store that takes Apple Pay? 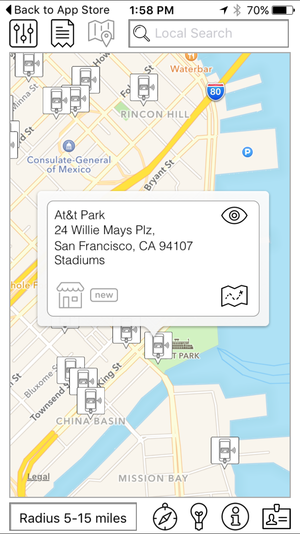 The Pay Finders app will show them to you on a map. Apple Pay has been around for a little over a year, but it’s still difficult to know which stores let you bust out your iPhone or Apple Watch to pay. Pay Finders is a free iOS app to help you find a store near you with the NFC technology needed to accept Apple Pay. It’s not the first app of its kind, but its creator, entrepreneur Brian Roemmele, told Re/code that he hopes to make it be the most accurate by using crowd-sourced data from Apple Pay users, as well as the business owners themselves. Apple Pay is currently accepted at more than 700,000 locations nationwide, and Pay Finders makes it easy to navigate through all those businesses by plotting them on a map. You can also view it as a list of nearby Apple Pay-equipped stores ranked by distance. If you register on the app, you can also submit a store to be included in the directory. It can be either a store that currently accepts Apple Pay but it’s not listed, or a store you would like to be able to accept Apple Pay. Pay Finders will also reach out to store to offer free options to upgrade their pay-to-contact terminal to accept Apple Pay. Business owners can also list their store if it’s missing on the app. The impact on you: Despite the impressive number of partners, Apple has secured to take Apple Pay, it still only accounts for half of the businesses in the U.S. In future versions of the app, Roemmele hopes to incorporate location-based notifications to let you know if you’re near a store that takes Apple Pay. 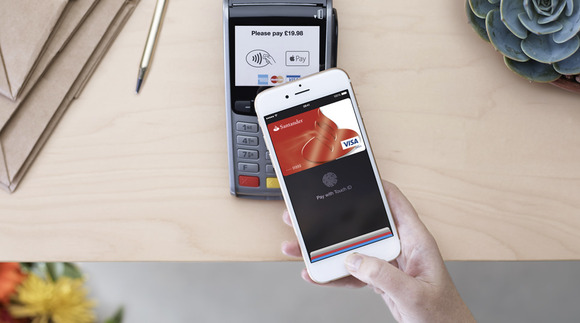 According to Roemmele, some iPhone users who are set up to use Apple Pay can easily forget to use it unless they are reminded right before reaching the register.